You and your business are being talked about on social media… right? Whether it’s a Facebook post, a tweet on Twitter or a photo on Instagram……your prospects and customers have changed the way they voice criticism and praise. Social media mistakes can change their mindset and may even change the way they buy too. Successful businesses must avoid making some of the biggest social media mistakes in their marketing campaigns. Most businesses are using social media as a part of their marketing strategy. As a social media manager, you already know that having a right social media strategy critical for your digital marketing strategy. Despite the ubiquity of social media, many still struggle to get the results they’re looking for. 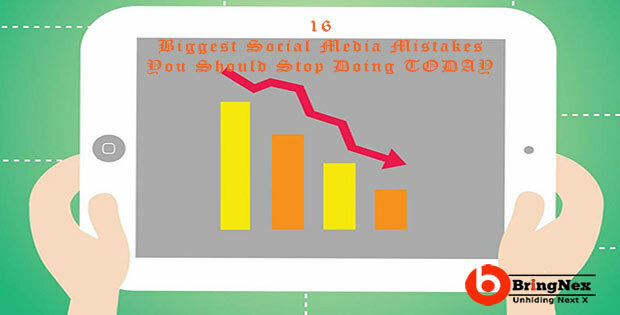 And only because of Social Media Mistakes That Make their Marketing Terrible & Less Effective. I work with a number of businesses each year and I see a lot of different mistakes, here are some of the repeated mistakes over and over. And you should avoid doing it today to assess your business’ goals and employ sound and measurable social media marketing practices to meet those goals. “A picture is worth 1,000 words.” and it’s true for social media marketing campaigns also. In the fast-paced social media world, images, videos, memes, and illustrations are great engagement tools. Businesses often risk neglecting its value. Takeaway; Try including appropriate media with every post – especially on Facebook, and Pinterest. Image editing tools like Piktochart or Canva is very effective in helping you create visual content. Working without a clear social media strategy is the top mistake made by businesses and social media marketers every year. It should not be the case like you have heard about social media marketing glories and have started it. Social media can only add value to your business if you are planning it properly. It’s recommended to be strategic for great results. Takeaway; Be strategic. Define your social media marketing goals, and list down realistic expectations as results. Here’s a template to build an effective and strategic social media plan. To gain the trust of your customers and target audience takes time. No one can ensure you for an overnight success in social media. It should be considered like any other marketing strategy and it must be applied consistently as per decided timeframe to generate results. Businesses often abandon social media activities before actually giving it enough time to take off. Takeaway; If you have a clear and well-researched social media planning and implementation strategy, give it some time for results. Continuous analysis and benchmarking are required. Don’t get tempted with the overwhelmed results scored by other companies. Business often gets excited and indulge in all type of social media marketing activities without actually investing in the right social media platform for their niche. Do a few things really well instead of many things poorly. Takeaway; If you are not actively involved in a social profile, it’s better to deactivate it. Un-updated accounts can work against you and may send the bad impression of your organization. When comes to hire social media managers for your organizations who will you prefer – a young professional who grew up using social media or an experienced social media marketer who has grown up marketing a business on social media platforms? Don’t just hire anyone for your business voice, it’s better to invest in experience. Takeaway; It is recommended to hire an experienced marketing professional with in-depth working knowledge of social media best practices. Are you among who post on social media platforms and forgets? If you goal it just to post updates then you are never going to achieve the set goals from your social media efforts. Social media platforms are used to get socialize with your customers, prospects and to spread your brand voice on world wide web. Takeaway; Engage and spend some time to understand the platform, type of content which are getting popular and replying to comment and queries if any. Set aside time to respond, connect and engage with people. Social platforms like Facebook and Twitter have evolved from years of up and downs – they now have a clear understanding of people, their behavior and can predict their next step to a some extent. Spending money on advertising could get you the expected results. Takeaway; As per you niche spare some time to dig deep in the advertising option provided by some of the leading social media platforms and try advertising. Test with small budgets to see results. When it comes to any online interaction be a super careful, breach in security can lead to unprecedented brand reputation damage. Unethical access to your social profiles can lead unwanted updates, unfollow flux and other offense. Takeaway; Always implement best practices for your password and make use of all of the security, privacy and restriction features that come with each platform. Unique, shareable and informative content always adds value to your organization’s reputation and enhances your brand value. Just like Google, Social Media platforms also don’t prefer copy contents and ranks your profiles less authoritative if you practice it. Takeaway; Make use of trendy topics, breaking news and hot discussion topics but add value to your updates by presenting new aspects. If your content is inspired by someone make sure to give appropriate credit. Try including trusted and positively reviewed free or paid apps, social media tools, and social media management tools to keep everything related to your business at one place, to manage relationships, effortless customer interactions, and to reach the right news, people at the right time. Takeaway; Social media management tools like nimble, HootSuite and other research and interaction tools are worth exploring. They not only help research, interact with prospects and team they can also be used to analyze the overall performance of your social media marketing campaigns. Religion, Politics, Relationships: these things should never be discussed at a dinner party1, and nor should they via social media. Sure, you should be personable, but getting personal with opinions and details of your private life should be avoided at all costs. I think there is nothing you can’t buy online. But how well they will perform as per your expectations is a matter of discussion. Apart from it, social media platform have become super intelligent nowadays and any buying or unexpected fan following in short time is easily recognized and may lead to account ban. So just don’t risk it. Takeaway; Don’t risk your efforts. One of the difficult task for any social media manager is – convincing your client / boss on social media ROI. And it becomes even worse if you forget to track success and measure your ROI on social media campaigns. Takeaway; The best practice is to use social media analysis tools like Clicky, and Google Analytics or can use any other social analytic tools. Here are tips to measure your social media marketing ROI. Ahh! Just published an awesome update there should be some great engagement on it. Oh! Nobody home? You choose the wrong time to share an update! What next? Know the right time to share updates, and how often you should do it. Don’t know how to get timings right! This is the case with the majority of social media platform users. But don’t worry there is some established guidance on when to publish by some intelligent minds; utilize it. Takeaway; Utilize social media marketing tool like Buffer to know exactly when your target audiences are online and at what time you are getting most engagements. They provide the best time to share as per your profile and activities. Try it. Inefficiency to turn followers into customers cost more to businesses. Give reasons to your audience to move from social platforms to your website. And it could be achieved by publishing valuable content, giveaways, offers and more on your blog. Besides this, blogging also serves numerous others purposes like demonstrating your expertise, news, events, building rapport and driving relevant traffic over a period of time. 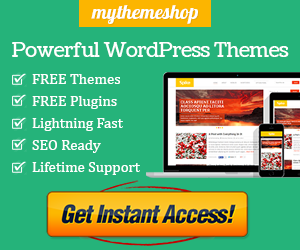 Takeaway; Learn how to start your blog and improve your blogging productivity. Learning from your mistakes is good. But learning from your competitors is even better and isn’t cheating: so don’t feel guilty. Get inspired from your competitors but don’t copy them. Takeaway; It is sensible to analyze your competitors social behavior and online activities to keep ahead in business. So check back or even create Google alerts for it to draw inspiration from their activities. Because if you are not doing it they will for sure. Share and spread the voice so that your collegue, friends and employees don’t make these social media mistake while managing social media marketing campaigns and achieve what they intend. Hi, I do think it is a great site. I stumbledupon it 😉 I may return once more since I book-marked it. pals ans additionally sharing in delicious. And naturally, thanks in your effort!